Darwin Life is a new kind of fertility clinic — one that aims to get women over 40 pregnant with designer babies. The company is the brain-child of Doctor John Zang, a researcher developing controversial methods of fertility that involve replacing some of the chromosomes in a patient’s eggs with those of a younger woman’s. The treatment is called ‘spindle nuclear transfer’, often referred to as a three-parent-baby technique, and it is outlawed in the United States. It’s been refused for FDA approval because it involves what some view as gene manipulation. Doctor Zang’s work helped a woman with a rare disease called Leigh Syndrome become pregnant last year. The idea was that with the help of a donor’s chromosomes that the baby would protected against inheriting its mother’s disease, while still remaining genetically related to her. Zang reported mixed results; the baby was born healthy but damaged DNA from the mother was unintentionally transferred over thus creating a possibility for health problems in the future for the child. The alternative is standard in-vitro fertilization (IVF) where the entire egg is harvested from the donor and placed inside the mother – thus the baby is genetically related to the donor, even though the mother gives birth. In this case the chromosomes were harvested in the United States, but the actual application and implanting occurred in Mexico due to US restrictions and ethical concerns. 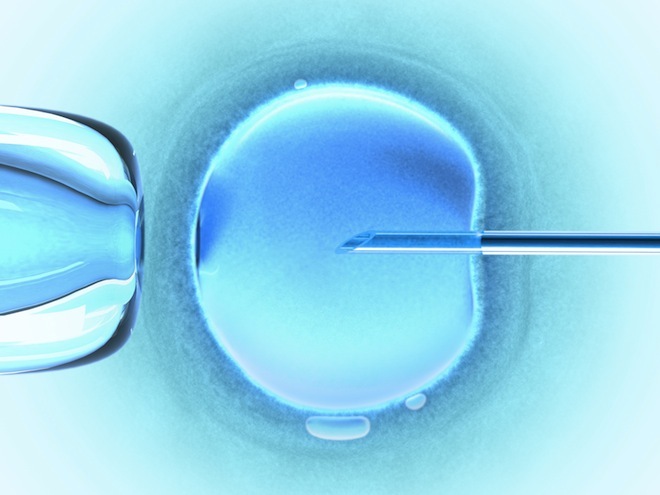 America isn’t the only country concerned about the ethics; the UK allows the procedure, but only in cases where normal conception or IVF might put the baby at high risk for health issues. Doctor Zang wants to do more than use his method to eliminate hereditary diseases. He wants to impregnate women ages 42 through 47 who often can’t get pregnant even though they produce eggs. Everything we do is a step toward designer babies, with nuclear transfer and gene editing together, you can really do anything you want. He’s referring to the ability for parents to choose a child’s eye color or decide if their child will be tall or not. It’s a minefield of ethics concerns – is it okay to edit genes to lower the risk of cancer? What about to increase your baby’s I.Q.? What happens when intelligence becomes the territory of the wealthy? This is another example of the twisting complexity of the world we live in. Perfect people are on the way and I don’t think any of us are ready for that.